Authors: Danilova I.A., Danilova I.А. The major age-gender, histological, prognostic features of gastric carcinoma were reveled by complex population-based analysis of 13095 current and retrospective (1994-2006) surgical cases. Are revealed: risk contingents; relative density of morphologically verified cases; level of invasive growth at the moment of research; methodological qualitative - quantitative principles of hospital alternative distribution of tumor histology by WHO classification (2000) that, with the account of organ-specific variability of cancerous proliferation, predetermines difficulties of comparative clinico-morphological medico-tactical prognostic and population gastric carcinoma estimation. Prospects of optimization for the modern hospital standard of clinico-morphological gastric carcinoma research are planned with the preference group (under the basic forms of cancer growth) allocation of histological forms of tumor, based on WHO-P. Lauren system (2000). gastric cancer, clinical and morphological assessment, population. Данилова И.А., Аничков Н.М. Комплексное изучение основных морфологических форм рака желудка в связи с показателями их прогностической оценки / И.А. Данилова, Н.М. Аничков // Арх. патол. - 2009. - Т. 71, № 5. - С. 27 - 31. Калиновский В.П. Рак желудка: факторы риска, меры профилактики / В.П. Калиновский, А.Р. Шумаков, Е.И. Ткаченко // Мед. академ. журнал. - 2008. - Т. 8, № 4. - С. 86 - 97. Комплекс программного обеспечения «Популяционный раковый регистр». Проблемы управления качеством онкологической помощи наседению Российской Федерации / В.М. Мерабишвили и др. // Материалы Всероссийской научно-практической конференции с международным участием. Казань: Труды КОД МЗ РТ, 2007. - Т. 10. - С.105-109. Мерабишвили В.М. Злокачественные новообразования в мире, России, Санкт - Петербурге / В.М. Мерабишвили. - СПб: ООО «Издательско-полиграфическая компания «Коста», 2007. - 424 с.
Мерабишвили В.М. Онкологическая служба в Санкт-Петербурге и районах города в 2008 году (заболеваемость, смертность, выживаемость). Ежегодник Популяционного ракового регистра / В.М. Мерабишвили, Ю.А. Щербук. - СПб., 2009. - 240 с.
Мерабишвили В.М. Онкологическая служба в Санкт-Петербурге и районах города в 2009 году. Ежегодник Популяционного ракового регистра / В.М. Мерабишвили, Ю.А. Щербук. - СПб. : ООО «А-ВИР», ООО ИПК «Коста», 2010. - 224 с.
Чиссов В.И. Злокачественные новообразования в России в 2008 году (заболеваемость, смертность) / В.И. Чиссов, В.В. Старинский, Г.В. Петрова. 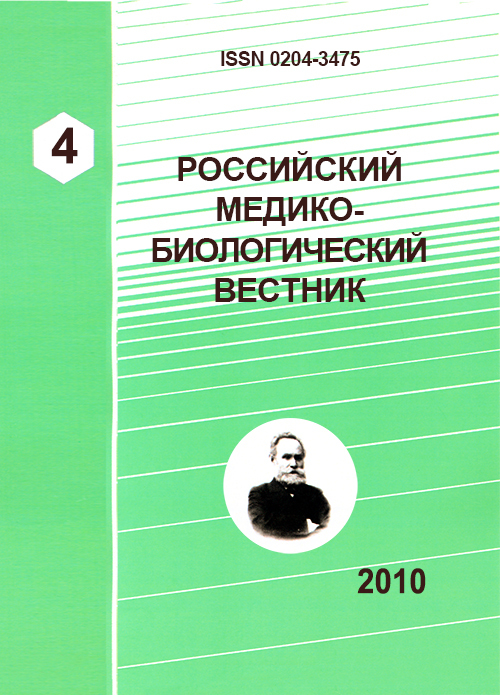 - М., 2010. - 256 с.
Brenner H. Epidemiology of stomach cancer / H. Brenner, D. Rothenbacher, V. Arndt // Methods Mol Biol. - 2009. -Vol. 472. - P. 467 - 477. Crew K.D. Epidemiology of upper gastrointestinal malignancies / K.D. Crew, A.I. Neugut // Semin Oncol. - 2004. - Vol. 31. - P. 450 - 464. Crew K.D. Epidemiology of gastric cancer / K.D. Crew, Neugut A.I. // World J. Gastroenterol. - 2006. - Vol. 12. - P. 354-362. Dietary patterns and risk of gastric cancer: a case-control study in Uruguay / E. De Stefani et al. // Gastric Cancer. - 2004. - Vol. 7, № 4. - P. 211 - 220. EUROCARE-4. Survival of cancer patients diagnosed in 1995-1999. Results and commentary / M. Sant et al. // Eur. J Cancer. - 2009. - Vol. 45, № 6. - P. 931 - 991. Gurbuz Y. Comparison of pathological features of gastric carcinoma in Turkey and Germany / Y. Gurbuz, G. Kloppel // J Environ. Pathol. Toxicol. Oncol. - 2005. - Vol. 24, № 4. - P. 271 - 280. Lauren P. The two histological main types of gastric carcinoma: diffuse and so-called intestinal-type carcinoma. An attempt at a Histo-Clinical Classification / P. Lauren // Acta Path. et Microbiol. Scandinav. - 1965. - Vol. 64. - P. 31-49. Lochhead P. Gastric cancer / P. Lochhead, E.M. El-Omar // Br. Med. Bull. - 2008. - Vol. 85. - P. 87 - 100. Plummer M. Epidemiology of gastric cancer / M. Plummer, S. Franceschi, N. Munoz // IARC Sci. Publ. - 2004. - Vol. 157. - P. 311 - 326. Recent patterns in gastric cancer: a global overview / P. Bertuccio et al. // Int. J. Cancer. - 2009. - Vol. 125, № 3. - P. 666 - 673. Hamilton S.R. Pathology and Genetics of Tumours of the Digestive System / Eds. S.R. Hamilton, L.A. Aaltonen // World Health Classification of Tumours: International Agency for Research on Cancer. - Lyon: IARC, 2000. - P. 38 - 44. Copyright (c) 2010 Danilova I.A., Danilova I.А.